You have got to try this Garlic Herb Cheese Spread!! The other day at Whole Foods, I bought some of this cheese on a whim. I don’t normally buy vegan cheese. I usually make my own vegan cheese because most store bought vegan cheese contains ingredients I don’t want, or it tastes too processed. However, this Tree Line cheese had only clean ingredients. I brought it home and tried it on some crackers. It was SO GOOD. I could have eaten the whole thing with a spoon. The only downside, was it was very expensive for a tiny tub. So I wanted to create a homemade version that could be made for less money. 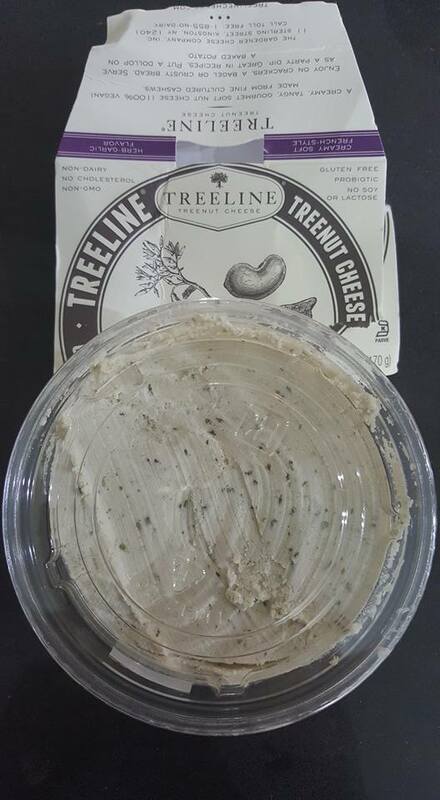 This Garlic Herb Cheese Spread tastes pretty close to the original in my opinion. It’s also gluten free and paleo in addition to being vegan. 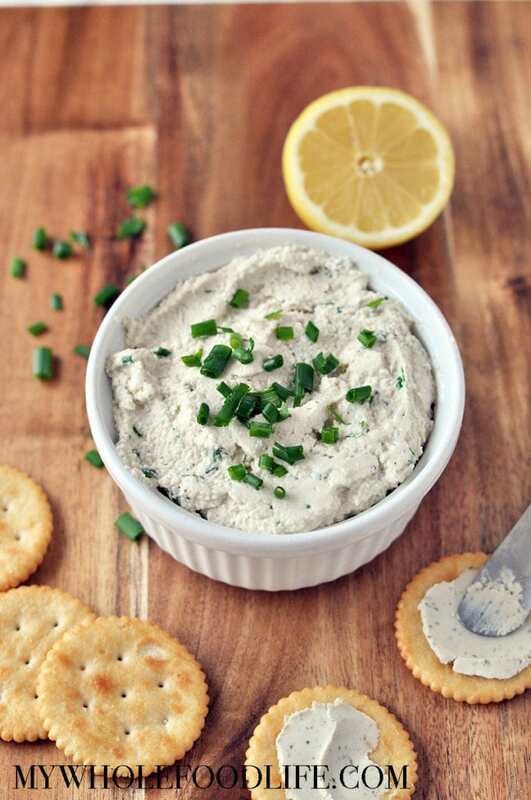 This spreadable vegan cheese is full of flavor! Drain the cashews and place them into a blender or food processor with the rest of the ingredients. Blend until smooth. Adjust the taste if needed. The cheese will thicken up a bit more when in the fridge, but should be able to spread easily onto crackers or bread. Keep this cheese stored in the fridge. It should last a couple weeks that way. Enjoy! I haven't tried it yet, but I will. I can't get Kitehill where I live. Can't wait to try it!!! Thank you!! Oops - Can't get Kitehill or Treeline here. Greetings from the UK. This recipe sounds fab! got to make.......Can't get that make of vegan cheese here in UK. BIG thanks for recipe! Does the vinegar taste go away? It adds a strong tang, very similar to the original store bought version. Did you try it and it's too strong for you? I have not tried the store bought version. It's a little strong. I think I will put less next time, but past that, it's delicious! Can I omit the chives, or will the flavor change too much? I'm sure you can, but it may be slightly more on the bland side. Will it work if I use macadamia nuts instead?? I'm fighting inflammation and was told that cashews are inflammatory. Is t for teaspoon or tablespoon? 3 teaspoons of vinegar?